For reasons that go beyond landscape, California is an extremely diverse state. That’s probably why so many non-natives make it a mission to visit at least once in a lifetime to see the sights. But if you want to see all this great state has to offer, hotels are a pricey way to go. It can be difficult to narrow down you’re itinerary enough to fit into one vacation. After all, you could fit an entire week or two playing along the Pacific Ocean or exploring the Redwood National Forest. And did you know that you can camp at a state park with 30 volcanic domes? We all know there’s a lot to do in California, but when you get here, you’ll find that there’s even more than you ever knew. As it turns out, camping is the best and most cost-effective way to explore Northern California. So whether you’re an avid camper or a newbie, you may want to consider camping in Northern California. Not only will it be the most economical way to travel, but it will also provide a richer experience that you won’t soon forget. As you’re exploring the northern region of the great Golden State, you’ll need a comfortable place to rest your head. And you may even want to break for some nature exploration. You’re going to make this trip your own, and the following 5 campsites will allow you to do that. If you’re one to geek out about geothermal activity, this is going to be your go-to camping destination. 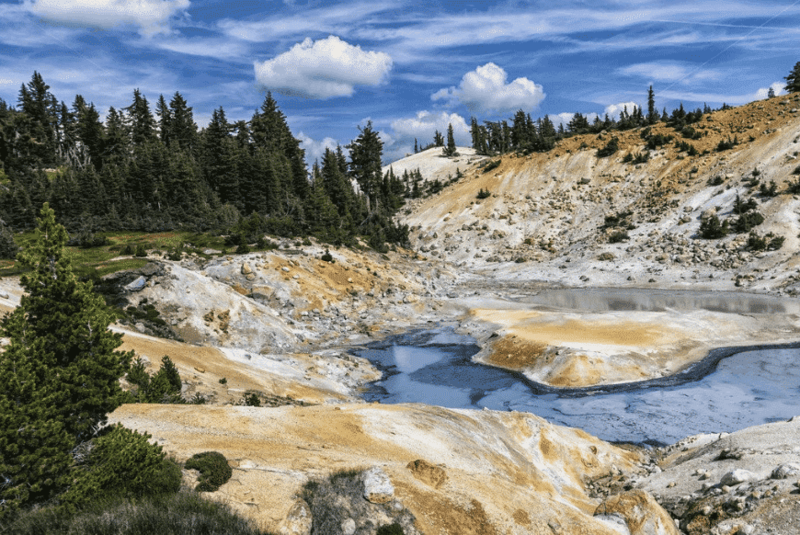 Hey, even if you just love the beauty of nature, Lassen Volcanic National Park is where it’s at. Here, you’ll be able to explore every type of volcano imaginable. That includes shield, plug dome, cinder cone and composite volcanoes. It’s a great place to take the kids for some hands-on learning. But be warned, you may not want to leave this national park. Because where there are volcanoes, there are also beautiful mountains, lakes and jagged peaks. You don’t have to make reservations to camp here, but it’s recommended. 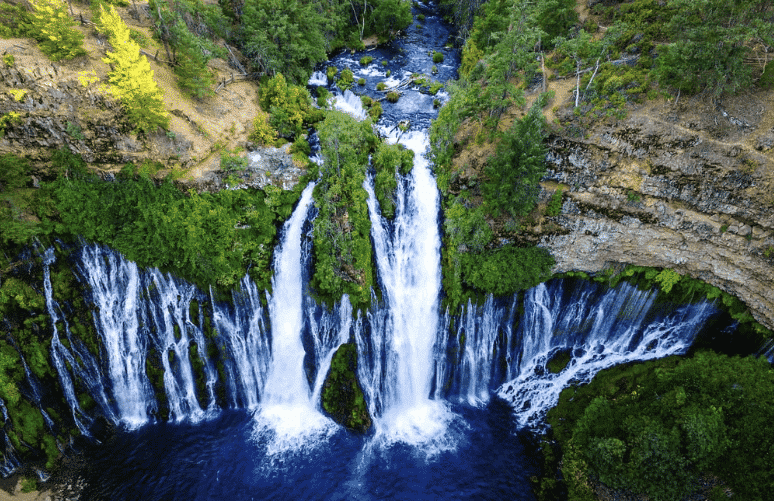 As you’re getting close to the Oregon border, consider stopping for a few nights at McArthur-Burney Falls Memorial State Park. This is the second-oldest state park in California and has one of the most beautiful waterfalls you’ll see in the area. While you’re here, enjoy fishing, hiking, watersports and horseback riding. If you’re exploring northern Cali, you’re probably here for the Redwoods. Or, at least, that’s one big reason. And what better way to see the tallest trees on the planet then to get up close and personal on a camping trip. There are several camping options here, and you really can’t go wrong. And to be honest, if you want to spend any significant amount of time here, camping is your only option. There are no hotels or other forms of lodging in the park. As for the camping, there are four developed campgrounds and eight designated backcountry camps (free permit required). 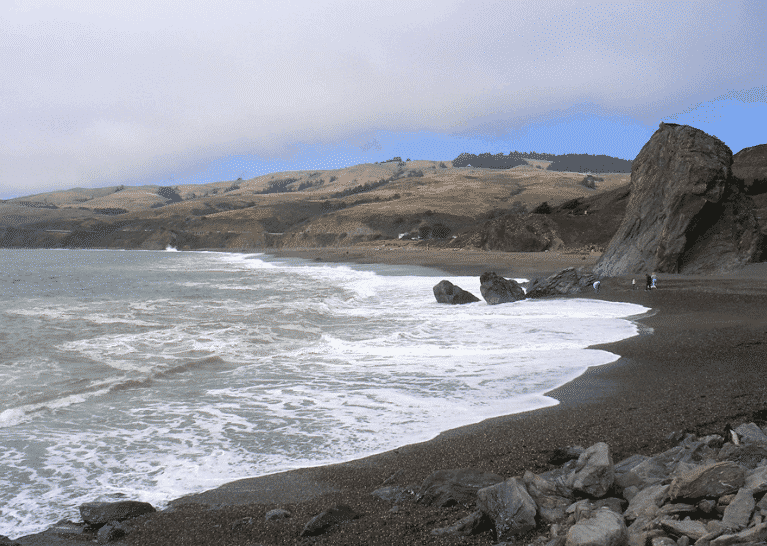 Sonoma Coast State Park is like the north’s answer to Big Sur. It’s rich with coastlines, beaches, natural arches and secluded coves. It’s a great place for a relaxing getaway to swim or fish, especially in the summertime. But you should know that there’s only one campsite here, and you’ll need to make reservations months in advance (especially during peak season). For many people, a stay at Sonoma Coast State Park is a welcome respite from a week of wine tasting further inland. This park is about an hour from the wineries of Sonoma, California, so this might also make a good day trip from your campgrounds. Can we really talk about exploring Northern California without a mention of Lake Tahoe? You simply need to stand at the waters’ edge to see why this destination has become so popular among tourists. And many would argue that camping nearby is the absolute best way to explore Lake Tahoe. Because it’s so picturesque, it can get very crowded here. But camping affords you a more intimate lay of the land, so you’ll quickly learn how to avoid the crowds and enjoy Lake Tahoe on your own. Check out the Hope Valley Campground in Humble-Toiyabe National Forest and the Fallen Leaf Campground on the southern end of Lake Tahoe. Either will offer you a more peaceful experience than a hotel stay in a highly-trafficked area. For most intents and purposes, fall is the best time to go camping in Northern California. You’ll find that the days are warm yet comfortable to be outside exploring the sights like Lake Tahoe and Redwood National Forest, and the nights are perfect for sitting around the campfire with friends. The only exception to this rule is if you’re looking forward to relaxing on the beach, say at Sonoma Coast State Park. In this case, you’d probably want the warmer summer weather. Just know that it comes with many summer tourists that are off from school and work with the same idea. In June through August, school is out and the weather is amazing, so this is peak season. You can also expect to encounter crowds at the popular campsites. This is why early spring and late fall are often considered ideal times to camp in Northern Cali. You can also camp in the winter months, but know that a lot of the campsites will be closed. You should also expect more rain, colder weather and some snow in the mountains. For some people, this is the ideal time to go camping, but most prefer more temperate weather. Regardless of the season, the campsites along the coastline and in popular areas like Lake Tahoe tend to book up faster, so you’ll want to make those reservations in advance. 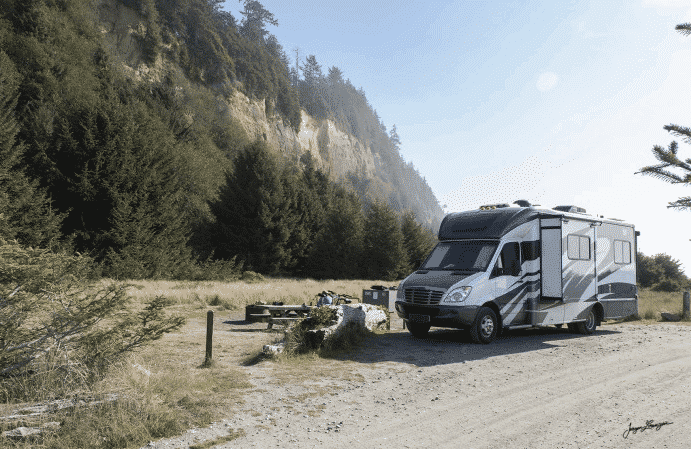 Most state and national parks offer some accommodations for RV camping, but some campgrounds are just better equipped for this type of camping than others. 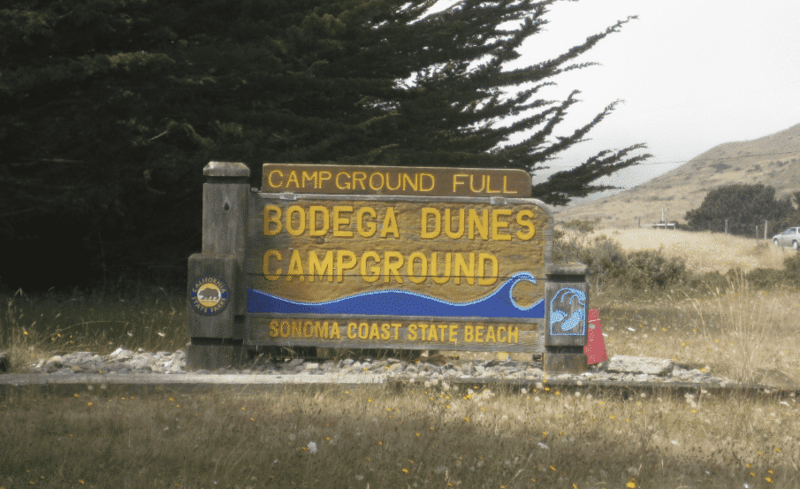 So if you’re looking for the best RV camping in Northern California, consider one of these top spots. 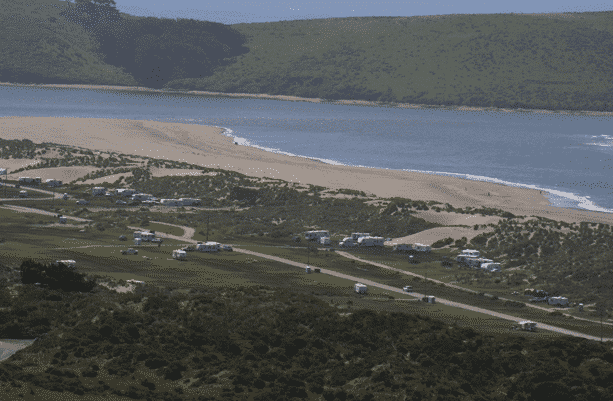 Dillon Beach sits on a finger of land that’s part of the Point Reyes National Seashore, and it may well be the best beach camping in Northern California. They don’t have RV hookups here, so it’s technically boondocking, but there are restrooms on site to make it more comfortable. 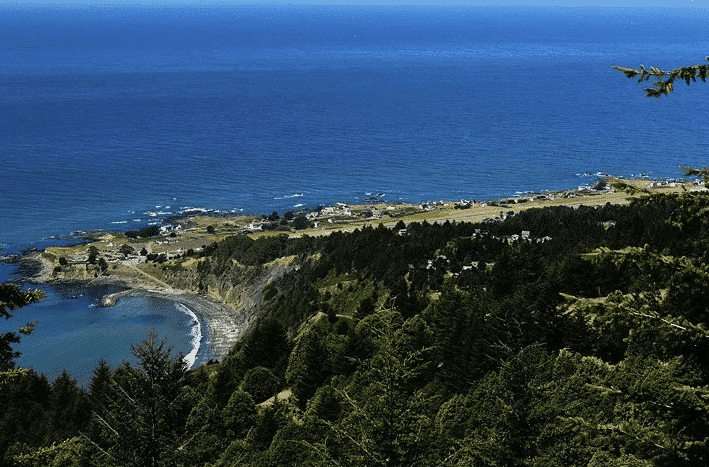 If you’re looking for the best beach camping in Northern California, Caspar Beach RV Park is likely to check off all your boxes. Not only is it a full-service RV park, but it’s also surrounded by wind-blocking trees located mere steps from the ocean. 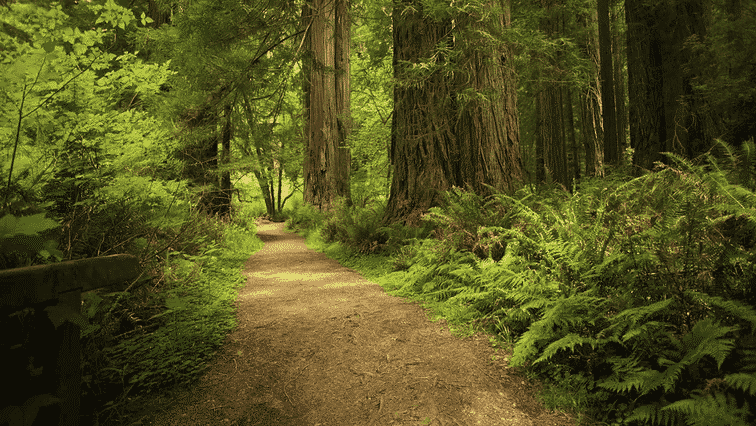 As you’re exploring the Redwoods, Prairie Creek Redwood State Park is a perfect place to rest your head, and your RV. Just don’t expect hookups. This is another state park where you’ll be boondocking. Not only can you expect to see the Redwoods, but there are some amazing hiking trails that you can access from the park where you can see Sitka spruce, Douglas fir, lichen moss and flowers. It’s a pretty trail to hike, especially in the spring. 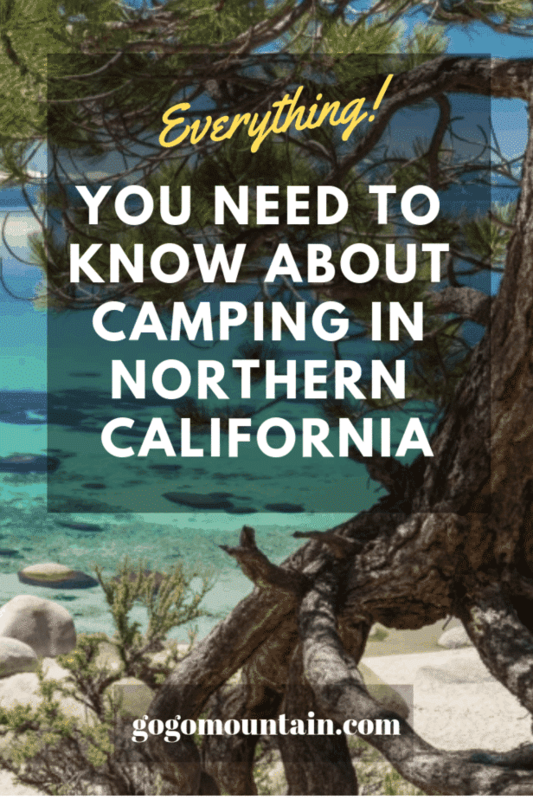 Now that you probably know where and when you’ll be camping, there are a few more things you should know about camping in the northern Golden State. First, as you explore various campgrounds, let go of your expectations. Amenities vary greatly from campsite to campsite. You may encounter a full-service RV park, a campsite with bathrooms and showers or just an area of dirt where you can pitch your tent. Before you book anything, check out the details online, so you know what to expect. Campsites at popular destinations often have a minimum stay and require advanced booking. Especially if you’re traveling a long distance, be sure to check these things out in advance. You don’t want to get somewhere and realize your vacation plans are ruined because you didn’t check the park rules. Some California campsites are open year-round. Oftentimes, these sites are located at higher elevations. But if you’re camping at an off-peak time, make sure there are available campsites to use as your home base. Whenever you’re on a camping trip, it’s always a good idea to pack layers. But these will be especially helpful in Northern California. Even in the summer, temperatures can dip significantly at night, so it’s best to be prepared. You aren’t going to want to overpack, but definitely bring some cardigans that you can wear over your t-shirts. California is notoriously casual and laid-back (at least, outside of Beverly Hills), so there’s no need to dress to impress. Pack for comfort and warmth and you’ll be fine. If you’re planning a camping trip to California, you’re in for the trip of a lifetime. There’s a lot to see and do just in the northern half of this massive state. And there are also a great number of beautiful campsites embedded within gorgeous state parks that could hold your interest for the duration of your trip. You may find a camping trip to Lake Tahoe or Redwood National Park to be interesting enough to take up your entire vacation. And hey, you’ve got a lifetime of exploring to do, so why not come back later to explore the rest of what Cali camping has to offer? Did you know we are on Pinterest? Click the image to visit and share our pin.